Flagpoles & Patriot Colors has successfully installed hundreds of flagpoles since we were established in 2001. Before each installation we do a utility locate to ensure that we don't damage anything in the digging process. Established in 2001 after 9/11, Flagpoles & Patriot Colors was inspired because we wanted to see more patriotism in our neighborhood. We began a part time installation service and now it has grown into an ever expanding business. 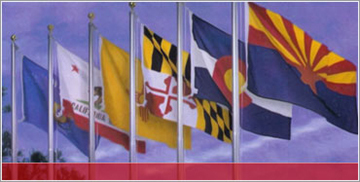 Flagpoles & Patriot Colors offers flags, flagpoles, flagpole repair, and flagpole installation. When you purchase from us, your flag delivery is free! When we deliver your new flag in northern Colorado, we would be happy to pick up your old flag and see that it is respectfully retired. 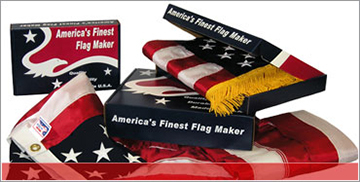 Flagpoles & Patriot Colors ships flagpoles, flags and accessories all over the country. 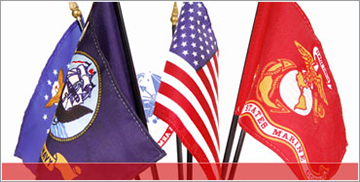 Our company was established after 9/11 in order to help spread a more patriotic spirit during a challenging time. If you are replacing an old flag, we donate the old used flags to the boy scouts, the VFW, or the American Legion and they all have wonderful flag retirement ceremonies. Over the past 15 years Flagpoles & Patriot Colors has successfully installed hundreds of flagpoles. Our process includes a utility check to ensure safe digging as well as free flag delivery. We love spreading a patriotic spirit and take pride in each and every flagpole that we install. Contact Us Today for more information!